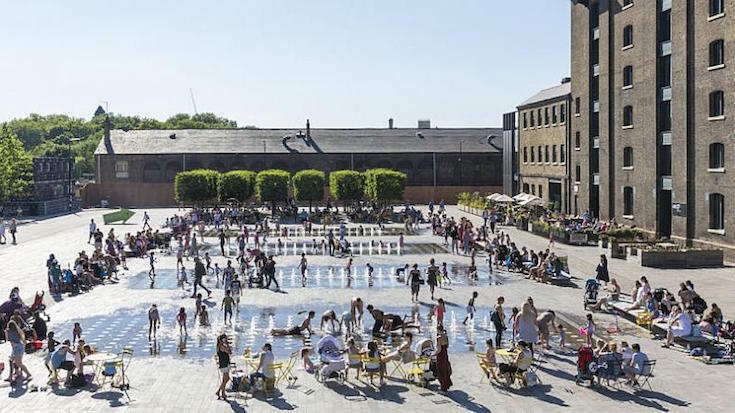 London has many squares, but few were built as the public open spaces they are today — many were conceived as garden squares, intended to be communal gardens for the inhabitants of the houses that surrounded them. 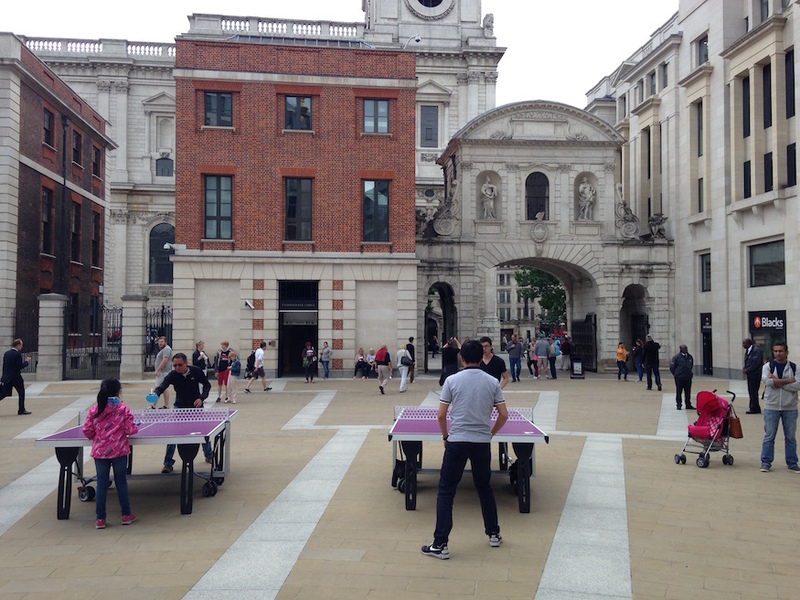 The London square started in the 1630s with Covent Garden, built in imitation of the piazzas of Italian cities. Between the 17th and 19th centuries the city's squares multiplied, as the urban sprawl got under way. Immortalised by the song about the nightingale, Berkeley Square dates back to the 1730s and is named after the aristocratic Berkeley family who used to own the land. Their name comes from the manor of Berkeley in Gloucestershire which was given to an ancestor after the Norman Conquest; it means ‘birch lea’ (a lea being the Anglo-Saxon name for a field). The square is, however, more noted for its towering plane trees than any mere birch. 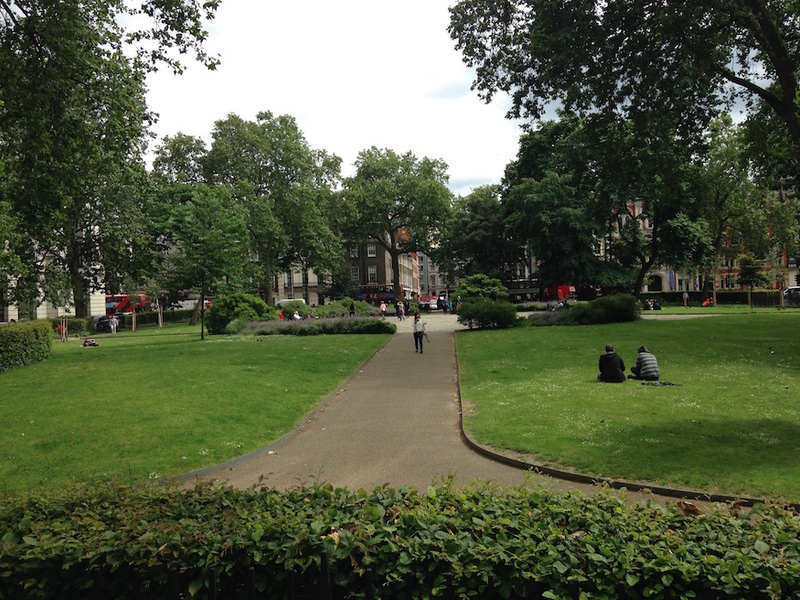 This square dates back to the 1660s and was originally called Southampton Square (after the Earl of Southampton, who developed it), although the current name has been used since the early 18th century. The name Bloomsbury derives from Blemondisberi — the bury (manor) of William de Blemond, a Norman who acquired the land in 1201. It’s now part of the Russell Estate (more about this under Russell Square). It may not have the word ‘square’ in the title, but this was London’s first square — laid out by the architect Inigo Jones (1573-1652) in the Italianate style in the 1630s. The name is older — the land was owned by Westminster Abbey during the Middle Ages, and was referred to as 'the garden of the Abbot and Convent of Westminster' in the 13th century. The name Covent Garden (‘covent’ being a corruption of ‘convent’) had evolved by the 16th century. Photo by victorianlondon from the Londonist Flickr pool. 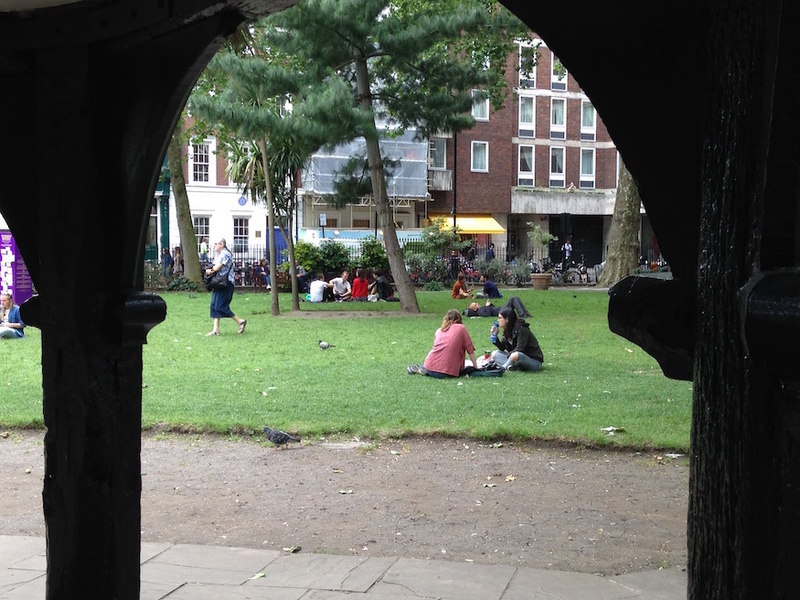 This square in Fitzrovia was laid out on land belonging to the FitzRoy family. Their name (the ‘r’ can be upper-case or lower-case) is a corruption of the French ‘fils du roi’ and means ‘son of the king’. It was a surname given to various illegitimate royal offspring — in this case Henry FitzRoy (1663-1690), the son of Charles II and Barbara Villiers, who was given the title Duke of Grafton. Euston Square also owes its name to the FitzRoy family — it’s the name of their country estate (Euston Hall, near the Suffolk village of Euston). Believed to have been designed by Sir Christopher Wren (1632-1723), this historic square in Soho dates back to the 1670s. The site had previously been part of a wider area called Windmill Fields although this particular bit was known as Gelding Close, presumably because it was used as a grazing-area for geldings (castrated horses). In this particular instance, the name ‘Golden’ is almost certainly a refined corruption of ‘gelding’. This new public space north of King’s Cross Station opened in 2012. It is named for the Granary Building, built in the mid-19th century and used to store wheat that had been brought down from Lincolnshire by train for London’s bakers. It was designed by the civil engineer Lewis Cubitt (1799-1883), who also gave us King’s Cross Station. 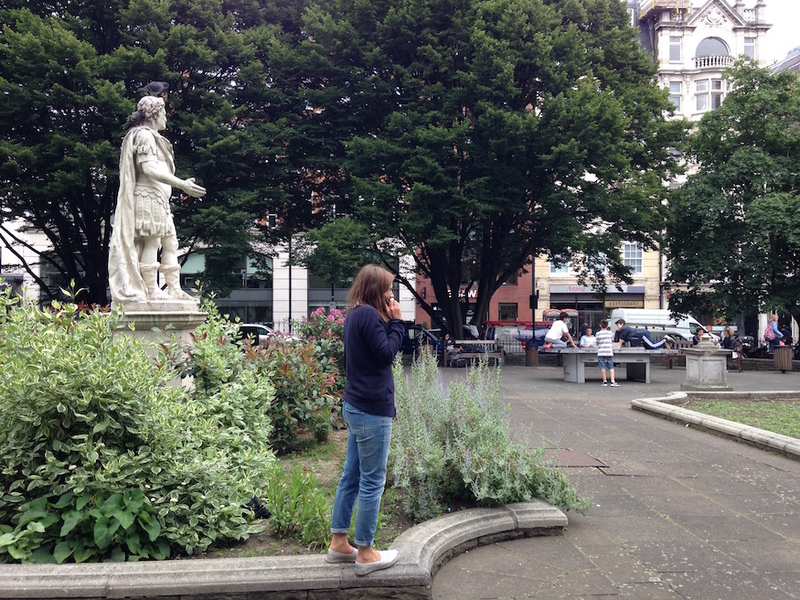 This is one of several grand garden squares that takes its name from the aristocratic and very rich Grosvenor family. They own most of Belgravia and Mayfair which they developed in the early 19th century (the head of the family, the Duke of Westminster, is one of the major landowners in the country). Elsewhere, Belgrave Square got its name from one of the family’s subsidiary titles, Viscount Belgrave — Belgrave being a village in Cheshire close to the family’s country home of Eaton Hall, after which Eaton Square is named. The family name derives from the Norman French gros veneur, meaning ‘chief huntsman’. That square which American tourists find so hard to pronounce dates from 1670 and was named after Leicester House, a mansion which was owned by local landowner Robert Sidney, the Earl of Leicester (1595-1677). The title, which dates back to the 12th century, refers to the city in the East Midlands, which was recorded as ‘Ligora-ceastre’ in the Anglo-Saxon Chronicle. ‘Ligora’ is assumed to have been an earlier name for the River Soar, while ‘ceastre’ derives from the Latin castrum (a building or plot of land used as a military position). Photo by Gary S Crutchley from the Londonist Flickr pool. 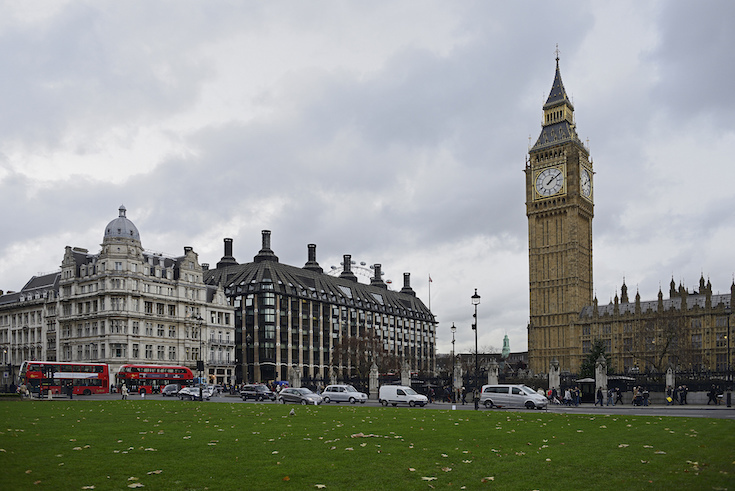 Located next to the Houses of Parliament, this public square was laid out in 1868 with the aim of opening up the space around the Palace of Westminster and improving traffic flow. It is, of course, named after Parliament – which has its origins in the Anglo-Norman word parlement. Originally this meant any discussion or negotiation, but over time it came to mean a legislative group summoned by the monarch. The term was derived from the verb parler (to talk). This noughties development next to St Paul’s Cathedral is named after Paternoster Row, which was destroyed in the Blitz. Pater Noster is Latin for ‘Our Father’, the first words of the Lord’s Prayer, and Paternoster Row apparently got its name from the (pre-Reformation) monks and clergy of St Paul’s who used to process around the area on the feast day of Corpus Christi (60 days after Easter). It’s said that they set off along Paternoster Row chanting the Lord’s Prayer, which they finished by the time they reached Amen Corner, following which they would chant the Hail Mary (Ave Maria) as they turned down Ave Maria Lane. Another square named after an aristocratic family, in this case the Russells who owned and developed Bloomsbury in the 17th and 18th centuries. Their land is the Russell Estate, and their name is of Norman origin — either from a nickname (the Norman French for ‘red’, used to refer to someone with red hair) or a place (the village of Rosel, near Caen). 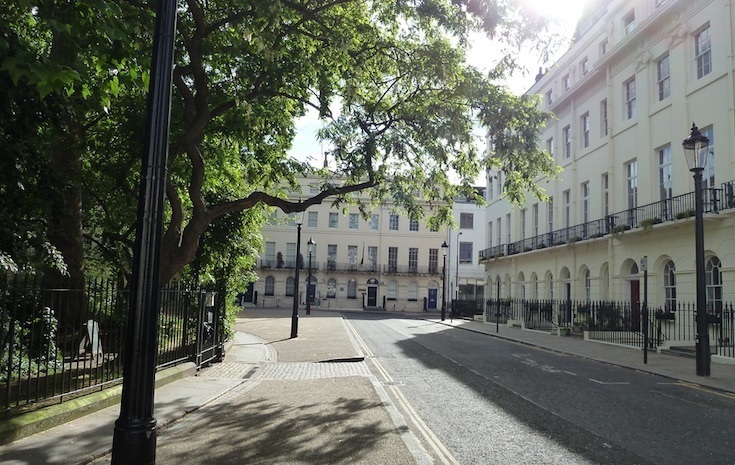 Other nearby Russell-owned squares include Bedford Square (the head of the family is the Duke of Bedford), Tavistock Square (Marquis of Tavistock is a subsidiary title) and Woburn Square (their country home, Woburn Abbey in Hertfordshire). Named after Sir Hans Sloane (1660-1753), the physician and naturalist who is best known for bequeathing his vast collection of objects (books, manuscripts, animal and plant specimens, drawings, antiquities, etc) to the nation – leading to the foundation of the British Museum. Born in Ireland but of Scottish ancestry, his surname is an Anglicisation of the Gaelic sluaghadhan, meaning the leader of a military expedition. 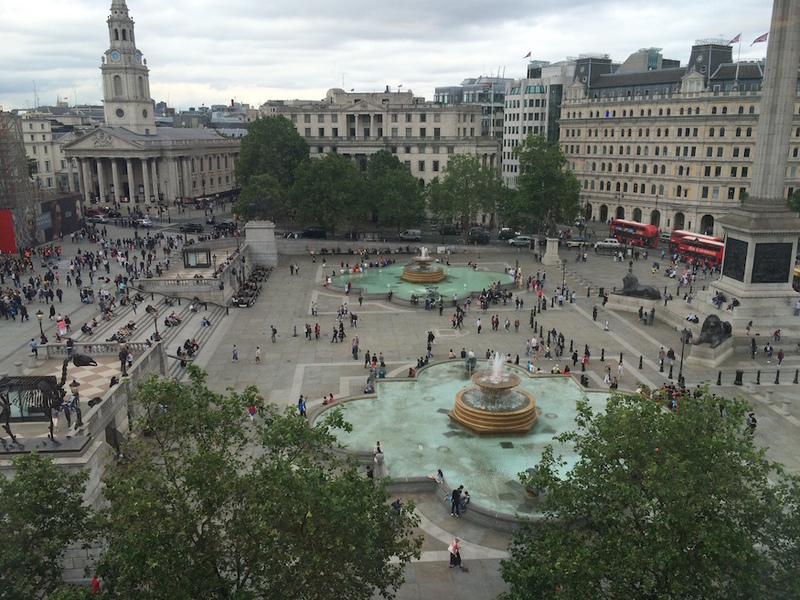 This dates back to 1681 and was originally called King’s Square after Charles II, whose statue stands here. The name ‘Soho’ first appeared in the 17th century and is widely believed to have derived from an old hunting call. This part of London was long a landmark before it even became a public square — having been the King's Mews and used as stables by Whitehall Palace from the 14th to the late-17th century. Commissioners of HM Woods Forests and Land Revenues instructed Nash to design plans for Trafalgar Square on the site where the King's Mews had been, in 1826. It was originally to have been named after William IV, but the king himself favoured 'Trafalgar Square', and this has been in use since 1832. Supposedly located in the ‘London Borough of Walford’, the focal point of EastEnders isn’t really in London — the set is at the BBC’s Elstree Studios in Borehamwood. It’s named after Prince Albert (1819-1861), the husband of Queen Victoria. Real-life inspiration for Albert Square is Fassett Square in Hackney.